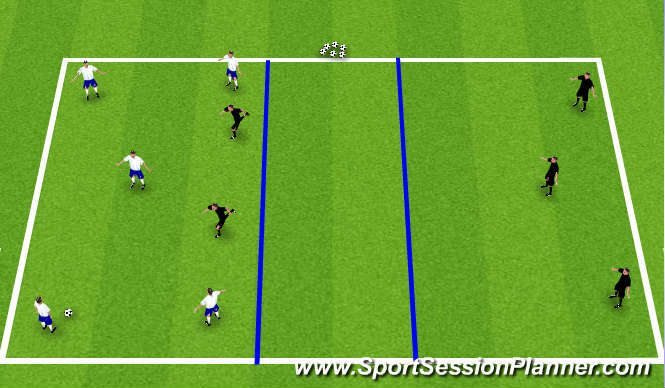 B- Player dribbles between the cone gate and passes the ball to the other end, the player recviening the ball then plays a one/two combination with that player before dribbling off to the gate. Using a large area splitting the grid in two, creating islands. Team in white starts with posession of the ball. The black team sends two defenders over, who try and win posession of the ball and send it back to their teammates. 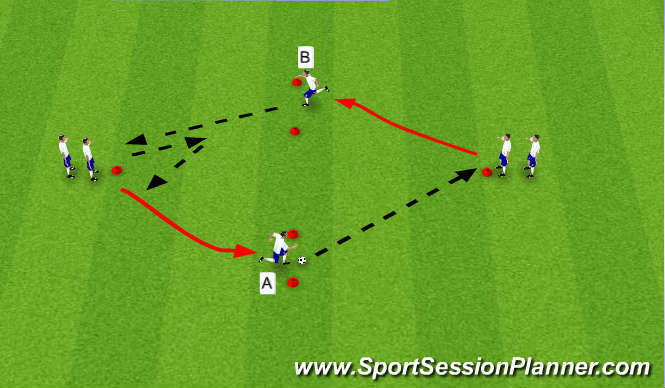 The team in possession attempts to complete 5 passes for a point and then play the ball over to the other end. 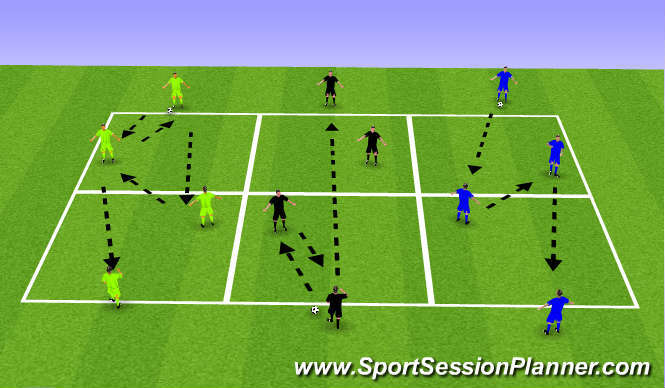 Progession - Limit the number of touches per player and add more defenders. 2. 2v2 continous with finish. - Ball played in by coach.